Just a little snip-it of what the ad campaign looked like. Here it is! The Nordstrom ad campaign!! 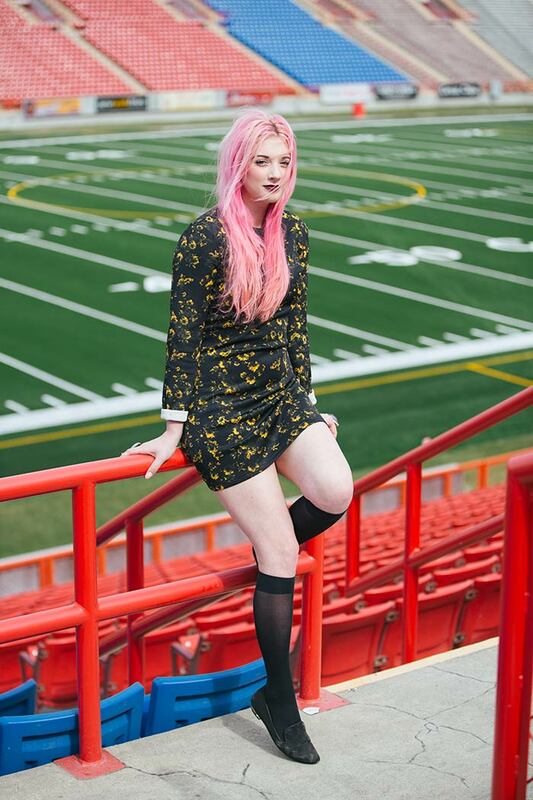 Nordstrom did a fabulous job with it, and they deserve a lot of koodos for personalizing the campaign for Calgary's audience and including it's own people in the campaign. It's a concept I've never seen used before by any company, let alone a massive fashion retailer such as this. I, along with the rest of YYC, love and appreciate this personal touch, and I can't wait for the store to open, Sept 19th! Additionally, they had the amazing Tommy Tom, street style photographer extraordinaire do the entire shoot. Love Love Love his work. Part of the campaign for the YYC store opening in Chinook Centre, included 100+ stylishly cool Calgarians, photographed by the talented duo Ania B and Tyler Stalman, featured on the Nordstrom blog The Thread. To see the FULL ad campaign the other local talent who was involved in it click here, (...and to start shopping!) To read more about the involvement of the citizens of YYC in the ad campaign, check out this article from the Calgary Herald.